October 2015 - KB Concepts P.R. Periscope is one of the fastest growing social media platforms. Once you get the hang of taking the videos, it’s a great way to share instant content in a live stream with viewers worldwide in real time. It’s a challenge keeping up with all the latest social media trends – especially when you have a business to run! That also may be why Periscope has quickly become popular; it provides users a simple way to gain unique exposure — without spending a ton of time or money in the process. It’s easy: you can sign up using your Twitter handle, keep the same profile information for consistency, and you’re ready to go. You can automatically follow all of your Twitter followers who are also using Periscope, and they in turn will see your content from the beginning. Periscope allows businesses and nonprofits to create and share real-time videos, so brands can personally interact with their audiences. Followers can comment and interact in real time, letting both sides update as events are happening. Videos can also be streamed live, meaning you can capture and share an important event, or simply communicate with others when it’s best for your schedule. Meanwhile, followers can “heart” your content, letting you know how well your post is going over as it’s happening. The higher the hearts flutter, the more positive reviews you’ve received. 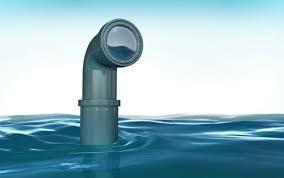 Periscope can be used in a variety of ways that best compliment your brand. Nonprofits can take videos of donations being put to good use or volunteers hard at work. Companies can create interactive customer service videos, demonstrate new products, give shout-outs to long-term employees, etc. Other uses include mini focus groups, announcing big news, customer competitions, or interviewing key brand members. You can also turn folks “off” who you don’t want to interact with, allowing you to speak directly with those who matter most — and providing an easy way to avoid trolls. It’s not surprising that businesses and nonprofits alike are exploring ways to incorporate Periscope into their communications and marketing activities. As with all social media, the best way to see if it’s right for you is to set up an account, observe how other organizations are utilizing this new tool, and take it for a spin. Enjoy!